For the model setup, CoolSim has a selection of four CRAC cooling methods, which can be used for different cooling units in a single simulation. IT equipment racks can be represented using their total heat load or with server-level detail. Irregular room or object shapes are accurately represented by the unstructured, body-fitted hexahedral mesher. A built-in duct-system model is available for non-raised floor data centers and can be set up to correspond to external air handling units as well. Comprehensive results are returned in an html format, but the full report can be embedded in a Powerpoint presentation and reviewed with clients when in slideshow mode. 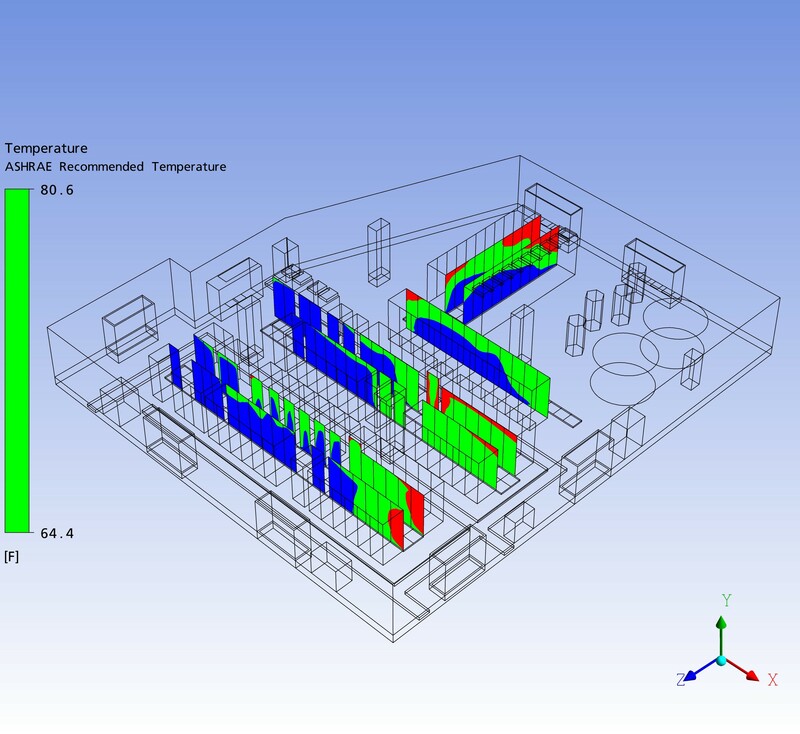 For data centers still in the design phase, several room layouts can be considered and the airflow characteristics compared. Even CRAC failure scenarios can be simulated simultaneously with the results in a single file. For data centers already in existence, airflow problems, such as flow through gaps in an equipment rack, are easily illustrated using the sophisticated graphics package used for postprocessing. High resolution figure files can be generated for reports or posters.